The Grassman is similar to Bigfoot, being a big, hairy, ape-like creature, said to reside in the state of Ohio, USA. Ohio is renowned for its own version of Bigfoot known as Grassman. Residents of the Buckeye State have been reporting Grassman sightings for 150 years. The name comes from the belief that the creature eats wheat and similar tall grasses, with some expounding the theory that the creatures in the more agricultural parts of Ohio may have adapted to eat cereal crops. It has been argued that Grassmen would not be able to survive through the winter months because their diet of crops etc would be unavailable. Challenging this theory are some researchers who suggest that such creatures would be capable of hunting or even fishing for food during the inclement weather. The abundance of water in Ohio seems to support the idea that such creatures could survive the changing seasons. Unlike Bigfoot, Grassmen have been reported in groups. They are also supposed to give off quite a strong odor. From descriptions of these creatures we can say that they would be between 7 and 9 feet tall, with black or brown hair, amber eyes, broad shoulders, large hands and feet, and a muscular build. They are generally thought to have longer hair than Bigfoot. The southeastern part of Ohio contains an enormous area of woodland, meaning it would be an ideal place for Grassmen to live. 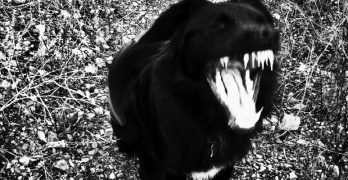 Salt Fort State Park is a particularly good place to go if you want to have a chance of spotting one of these cryptids. The first known sightings were in 1869 when residents of Ohio said they had seen a large, hairy, bipedal beast that was up to nine feet tall. One report even stated that the creature had leapt onto a man who was riding in a carriage. The man’s daughter, who was traveling alongside her father, threw a stone at the beast as it fought with him. She succeeded in hitting the animal’s ear and it ran off. The area east of Minerva, Ohio began to experience what was alleged to be Grassman activity in 1978. Evelyn and Howe Cayton’s grandchildren and some of their friends came running into their house, screaming and obviously very frightened. They said they had seen a monster outside in a gravel pit. Venturing outside, the Caytons saw a beast that was covered in dark hair. They estimated its height at around 7 feet and reckoned it weighed 300 pounds. Evelyn claims the creature just stood there, but she admits she didn’t hang around for long! She saw the creature again later, although couldn’t get a good look at its face due to the long hair that covered it. Evelyn noted that the creature did not seem to have a neck. Apparently the creature appeared on a number of subsequent occasions, leaving a strong smell behind when it left. No physical evidence was ever found, although investigators did come across a number of unusual – and unclear – footprints in the area. A compelling event seemingly unfolded in Bellefountaine in June 1980 and was reported to the Ohio Daily News. Off-duty police officer Ray Quay was unloading some pigs he had bought. Switching off the light in his barn, Ray went around the corner to see what his two dogs were barking at – he says the dogs never usually barked while he was around. Rounding the corner, he was confronted by the sight of what he initially thought was a man. Ray hollered at the figure, however it soon became clear that this figure was not human. After Ray shouted, the creature ran off through some tall weeds on Ray’s property. He says the creature was seven feet tall and extremely hairy. The police did investigate but could find no evidence or clues to solve the case. A matter of days before this story came to light, Patrick Poling had reported seeing a similar creature while he was working in the fields in Union County. 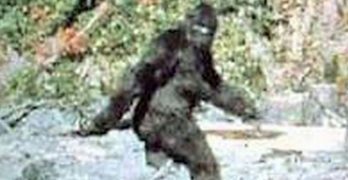 weirdus.com, “Bigfoot in Ohio”, accessed September 28 2017. Julian Cheatle updated Grassman on 31 Dec , 2017.